“Brevity is the soul of wit.” However, creating that quality of brevity isn’t so much about writing short as it is about making every word count. As we continue to discuss the most common writing mistakes, we’d be remiss to leave out the all-too-prevalent faux pas of unnecessary filler or padding. 1. The writer is still trying to discover what he wants to say. 2. The writer is too in love with his own words. 3. The writer isn’t confident in and/or is avoiding what he really needs to be writing about. 4. The writer doesn’t trust the reader to understand the subtext. How can you spot unnecessary filler when it shows up in your story? The first symptom is always that it’s boring. If there’s no life in the scene–if it’s high point is just two characters exchanging monotone dialogue about a subject readers either already understand or simply don’t care about–that’s a good sign it’s a bad scene. Another sign of filler is a scene that’s full of social conventions or routine conversations that readers either participate in themselves in their daily lives or are super-familiar with from television and other books. 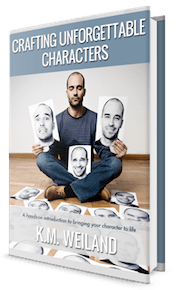 Personal introductions and daily routines are frequent culprits, but so are court-room rhetoric, the Miranda rights, most political speeches, ordering at restaurants, and chatting with grocery clerks–among other things. Anything repetitious is almost always going to end up (at the best) being unnecessary filler. If readers were with your character when she got the bad news about her cancer at the doc’s office, then they don’t need a blow-by-blow recap when she asks for prayer in church. Diana sat in her American history class and doodled in her notebook. Miss Kyle finished roll call, then grabbed her brick of a history book off her desk. “And now, let’s all turn to page 12 and learn about the disappearing settlers at the Roanoke Colony.” She started reading. Let’s say Miss Kyle’s selected passage about the Roanoke Colony is super-important to your plot. Even supposing that, this scene is still nothing but fluff. We might even go so far as to overlook the complete lack of a goal from Diana and the equally complete absence of any conflict between her and her super pals. But what we still can’t get past is the absolute uselessness of all this routine chalkboard-writing, roll-calling, and history-book-reading. It’s filler, plain and simple. Fixing this one of our most common writing mistakes is easy-peasy. If it’s filler, cut it. And keep right on cutting until you get to the part where something good actually starts happening. Anything crucial in this section–such as all that juicy info about Roanoke–can be framed much better in a scene that actually matters to your story. Sometimes filler can end up being an authorial darling. We had so much fun writing that scene! All those alter-ego names? Squee! Our inner nerd is geeking out. Just the thought of axing it raises a tear. Sadly, however, squeeing is not reason enough to keep a scene. Work your nerd moment into a different, most integral scene, or just surrender to the fact that it really does belong on the cutting-room floor. Diana ran into school, late for History once again. A chill prickled Diana’s arm. “They looked like me?” This was the clue that would unravel the whole mystery of her existence! And she’d almost missed it. Turns out we don’t even need to be in class with Diana when her teacher starts expounding about Roanoke. And we definitely don’t need to meet Miss Kyle or hear that egregious roll call. Even better, this version spices things up with an actual goal and some actual conflict. Now, there’s nothing wrong with writing all this filler. Sometimes we just need to get it out of our systems. And sometimes we need to write through the filler in order to find the true heart of any given scene. But don’t get attached to useless blathering. As soon as you recognize the core of your scene, go back and cut out all the unnecessary filler leading up to it. The result will be a lean, mean, fascinatingly on-point story readers won’t be able to resist. Tell me your opinion: Can you identify any recent filler scene in your work-in-progress? 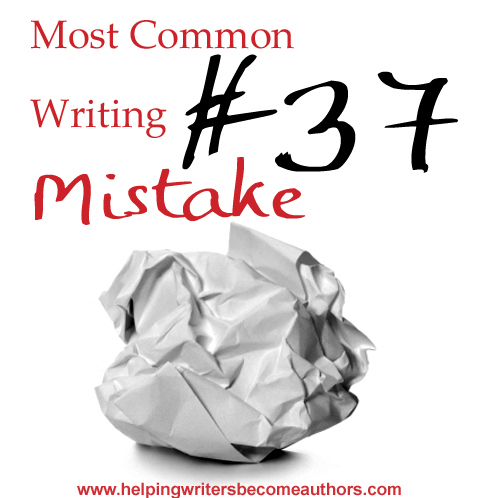 How do you deal with this 37th of our most common writing mistakes? I’ve added some stuff to my story that was originally going to be filler, but ended up opening things up for plot points in book two, while still being relevant to the story in book 1. That’s not to say I don’t have useless filler. There’s loads of that. I plan on going and cutting it down, especially since my overall word count is now 10,000 words longs than my ideal count would be. How I’m going to cut the filler, I haven’t decided yet. I shall face that next week. First I take a break to catch up on reading and blogging that I haven’t been doing cause I’ve been in book land. It’s endlessly fascinating to me how the writer’s brain works: we can start out writing something that is mindless filler, but our brains immediately start looking for ways to make it pertinent.